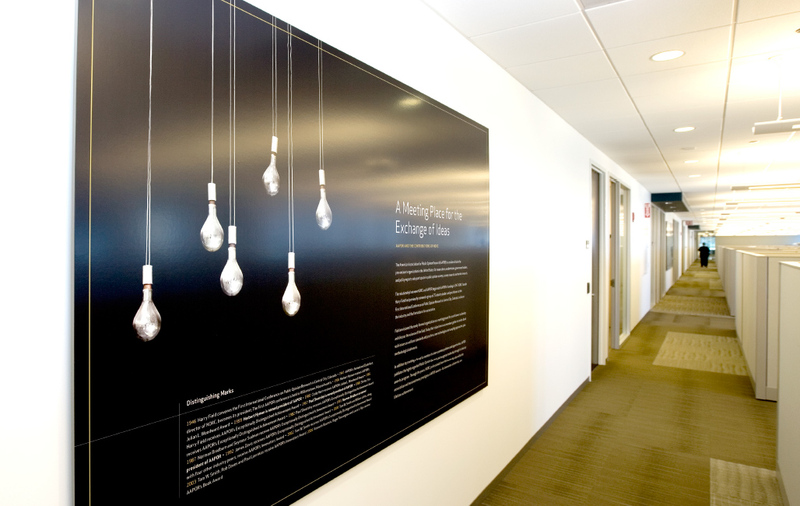 Chicago Booth selected Smith to design branded signage and donor recognition elements for its new facility. 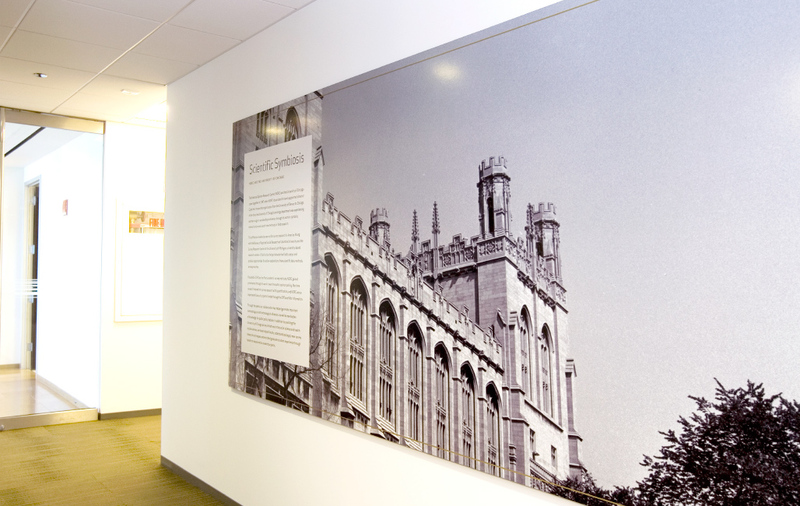 Smith studied the building’s access points and developed a range of design executions and materials for the school. 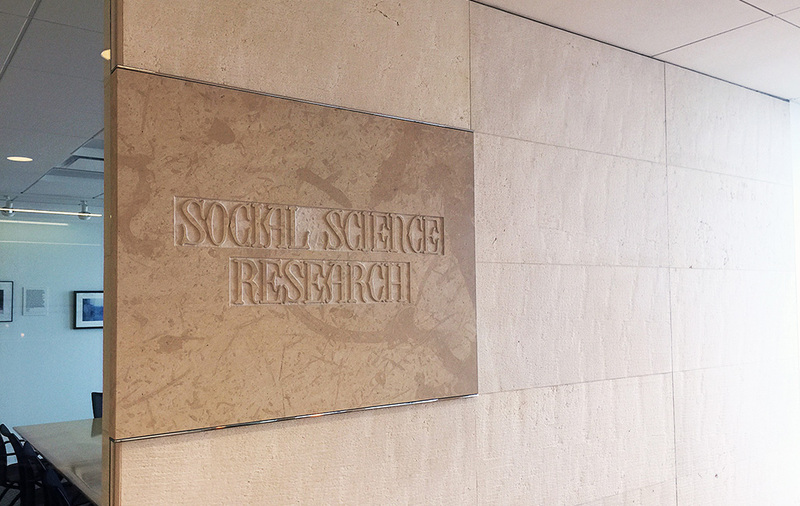 On the exterior, dimensional steel lettering lends dramatic effect to the center’s new name, while blending seamlessly into the building’s clean lines. 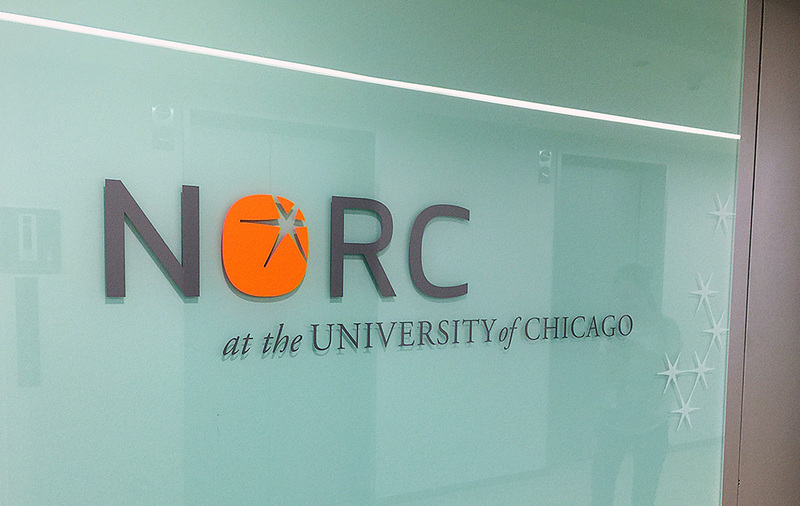 NORC is an esteemed institution that has served the public interest through objective social science research since 1941. 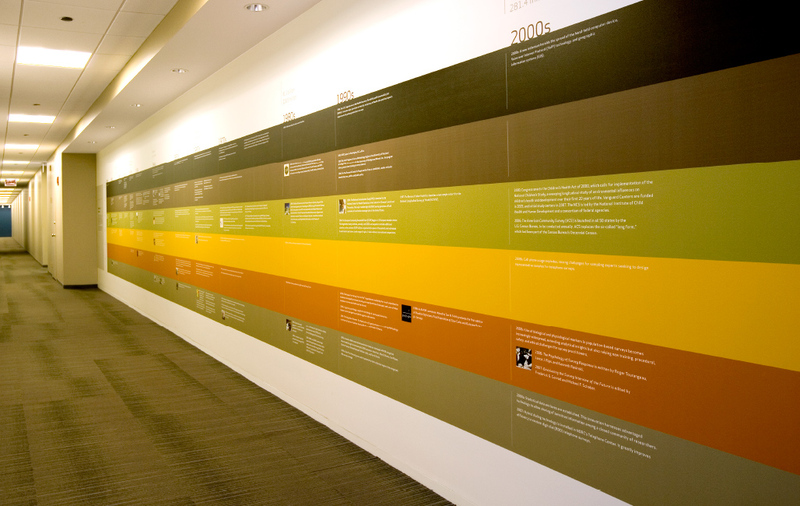 To tell its story, Smith created large-scale exhibits that highlight NORC’s landmark studies, historic milestones and its influence on the shaping of public policy. 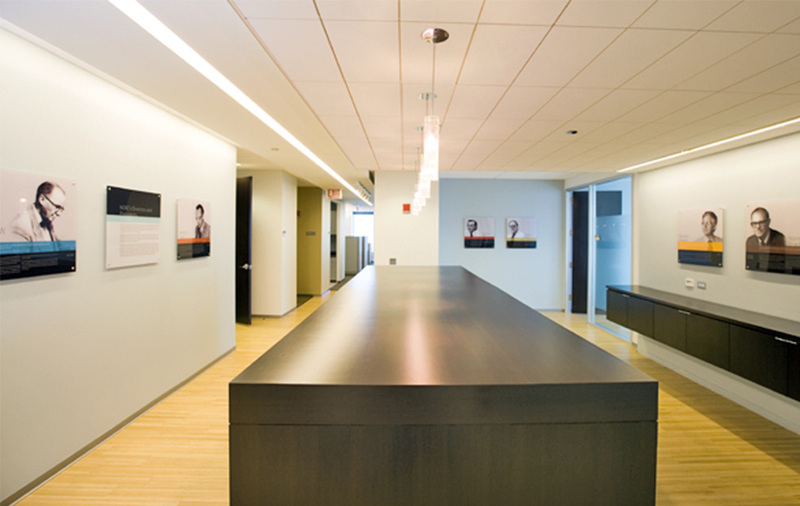 The installation adds visual interest to NORC’s interior and reinforces the impact of the organization’s work.